Access My Done For You Templates For Tech Nation Visa Endorsement. Take advantage of my experience of successfully applying and helping others do the same. With only 400 spots per year, this endorsement process can be very competitive. HD explainer videos: You will be able to watch me go through each document, watch and listen to my advise on what to include in each section whilst seeing my own personal example. Unique Template Notes: These notes properly explains and lists out exactly what you need to be thinking about andu00a0 guides you to ensure you fill out the templates as quickly and easily as possible! 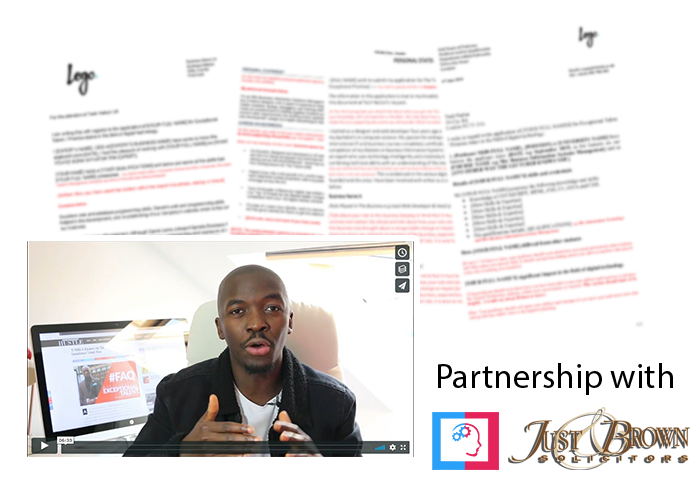 ** BONUS ** You will also get access to my other mindset and frame-work videos on types of documents to use as supporting documents. If you have any other question or queries, these might help. Q: Can I Apply Without Your Templates? Yes you can, my done for you templates are simply a resource that will make the whole application process much easier and enable you apply much faster and ensure your documents, information and qualification are well aligned with what the experts at Tech Nation want to read and also ensure you are placed in a suitable position as a candidate likely to get endorsed. Being a successful applicant myself, I understand where you are at the moment and know how daunting this process can be, my first application was not endorsed, which means I lost upwards of u00a3300 which could have been saved if I had the an expert guide like this. Do I believe this templates will be helpful? Yes, I do - they are exact templates I used for my winning application and I have used it to help other applicants. Q: Will Your Template Guarantee Me a Visa? A: No, no one can guarantee your endorsement because it lies in the hands of the Home Office. Although the main key points and advantage of my done for you templates is to ensure that you lay out your qualifications, awards, and career experience in the right light, format and in the right way Tech Nation wants to see and read. This puts you in a better position and strenghtens your stage 1 apllication process. These templates have not been endorsed or approved by the Home Office or Tech Nation, they are to be used as a guide only and they do not guarantee endorsement.